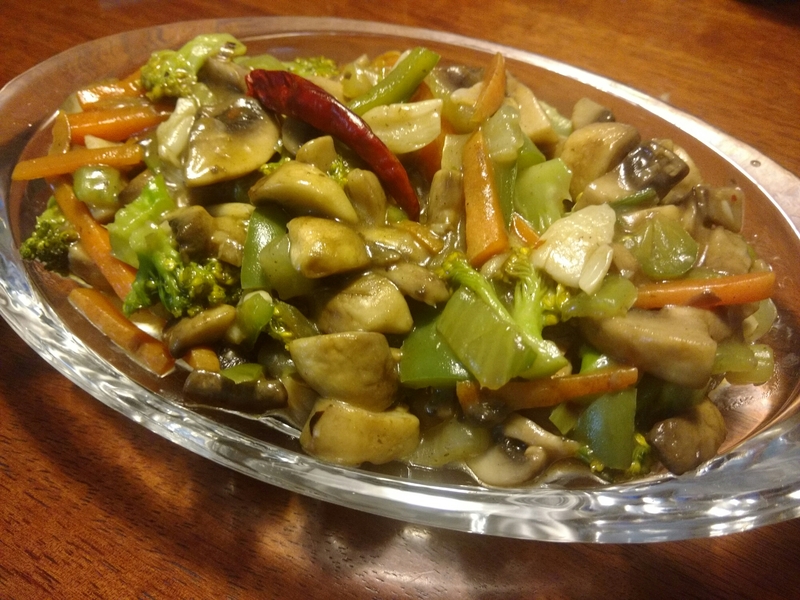 Just when I realised that I had a whole pack of mushroom untouched and that I needed to do something, I also realised that I had a combination of veggies that could make a good stir fry. 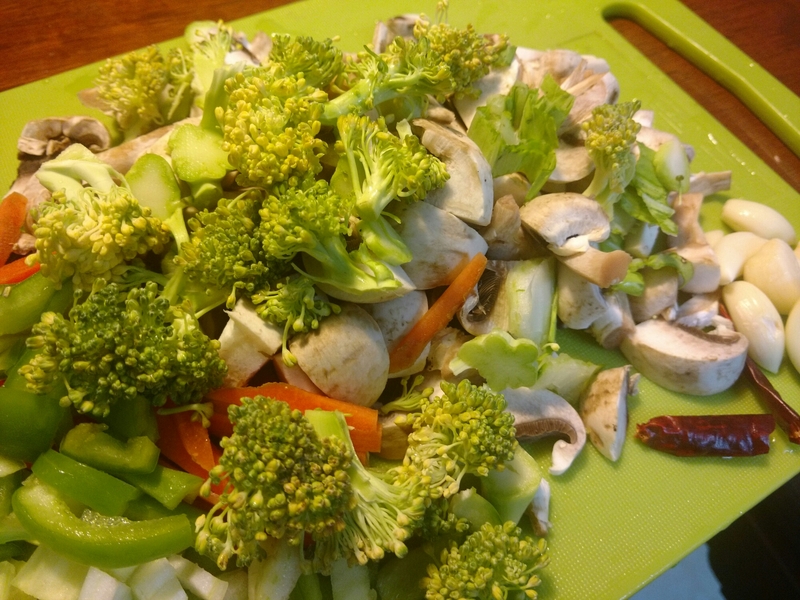 In a pan heat the sesame oil, add crushed roasted garlic and chilli, add veggies, salt and stir fry for 2-3min. Add water or broth and cook for 3-mins. Add cornflour with a little water to thicken the stir fry and for the gloss.